Europcar has introduced a new online service to simplify account opening for fleets of all sizes, bringing instant access to discounts. 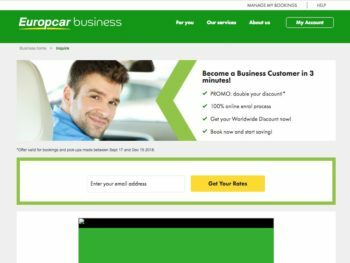 Launched in 10 countries in Europe and globally, the new online tool is said to enable companies to open an account with Europcar, simply and quickly, in three minutes using a dedicated Europcar website. This then provides fleets with instant access to applicable rates for corporate accounts, bringing up to a 20% discount on public rates available on the Europcar website under a current promotion while from 16 December, account holders get up to a 10% discount. Discounts are available on all cars, vans and trucks and there’s no monthly volume commitment or annual fees. The new online tool is offered in France, Spain, Portugal, Italy, Ireland, Australia, New Zealand, UK, Switzerland and Belgium.